Instagram has launched a new feature designed to make it easier to follow people you meet in real life. It’s called Nametag, and it allows everyone on Instagram to create a personalized name tag that’s unique to them. Yes, just like Snapchat’s Snapcodes. 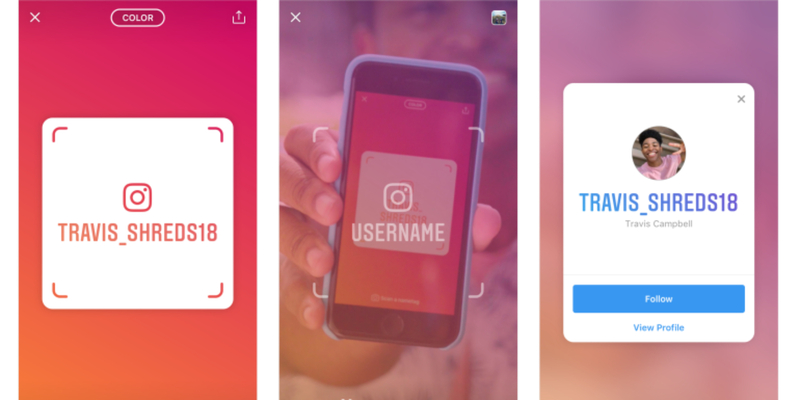 As described on the Instagram Blog, Nametag is a “customizable identification card that allows people to find your Instagram profile when it’s scanned.” This makes it very easy to follow people on Instagram, or help other people follow you. To create your own Nametag, click on your profile, and find Nametag behind the three lines at the top. You can then personalize your nametag, adding different colors, emojis, and selfies so that your Nametag perfectly reflects your personality. Once you have your Nametag set up you can share it with friends via social media sites and messaging apps. And you can scan other people’s Nametags by swiping right into the camera, hovering over the Nametag, and holding down on the screen. Instagram is also launching a feature called School Communities. This, as the name suggests, lets you connect with other people who currently attend, or recently graduated from, your school. This is currently being tested in a handful of U.S. universities. Once you have access to School Communities, you’ll be able to list your school, year, major sorority, and other interests. You’ll then see a directory listing of everyone who attended the same university, allowing you to connect with them through a shared experience. OK, so Instagram’s Nametag feature is something else the company has copied from Snapchat. Albeit years after Snapcodes arrived on the scene. Still, Nametag makes it much easier to find people on Instagram, so we shouldn’t really complain. While Nametag makes it easier to follow someone on Instagram we’ve previously detailed how to remove Instagram followers. And given Instagram’s interest in school communities now also might be a good time to read the parent’s guide to Instagram.